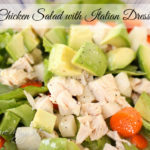 Tuna salad has always been one of my favorite quick go to meals. My kids love tuna sandwiches and while I am on Whole30 I am enjoying mine in a lettuce wrap. 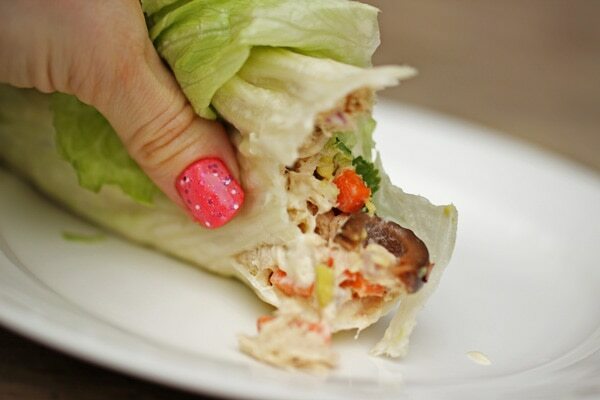 A tuna salad wrap is light, refreshing and satisfying. Especially when you add homemade mayonnaise and garnish your wrap with olives, avocado and other goodies. 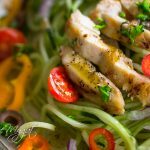 This is a fast and easy meal. 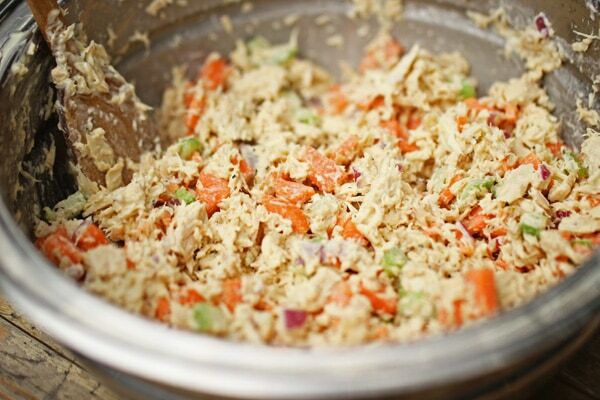 First you add drained tuna, celery, carrots, purple onion, fresh lemon juice, mayonnaise, black pepper and salt to a mixing bowl. Then mix it well together. 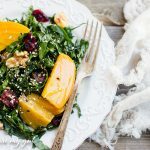 If you have little kids, you may want to grate the carrots or leave them out completely and substitute raisins. They will go crazy for this tuna salad with raisins in it. Sometimes I add it in, sometimes I leave it out, I make a few variations with my tuna salad. 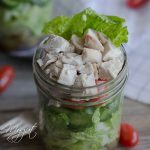 Once it’s mixed together well, place some tuna salad in the center of a lettuce leaf. I used iceberg. 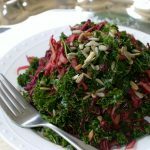 My husband prefers a heartier lettuce like romaine or a collard green leaf. Use whichever you prefer. 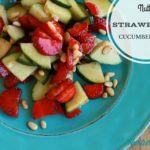 Add additional toppings if you like. I added sliced black olives, avocado slices, cilantro sprigs, red pepper flakes, minced purple onion and freshly cracked pepper. Then fold over the sides to form a wrap like the photo below. And enjoy! This is really delicious! 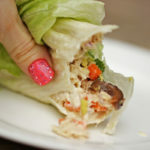 My husband and I enjoyed these yummy tuna salad wraps while our kids had theirs on gluten free bread. 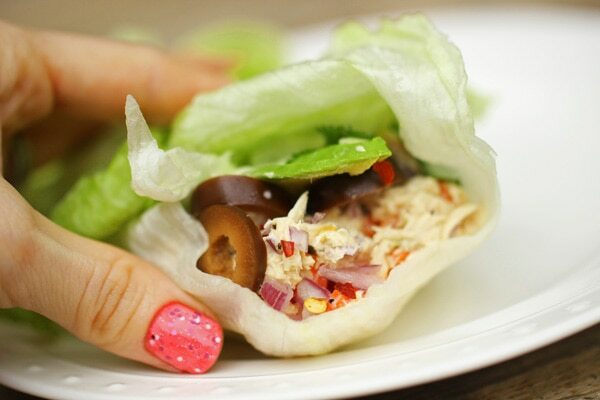 A tuna salad wrap is light, refreshing and satisfying. 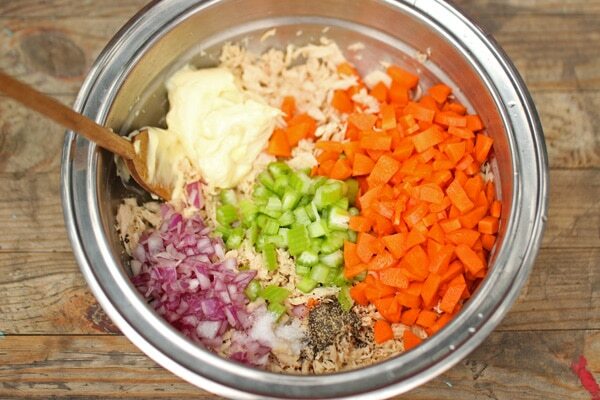 To a large mixing bowl, add tuna, celery, carrot, onion, mayonnaise, lemon juice, black pepper and salt. Mix well with a wooden spoon. 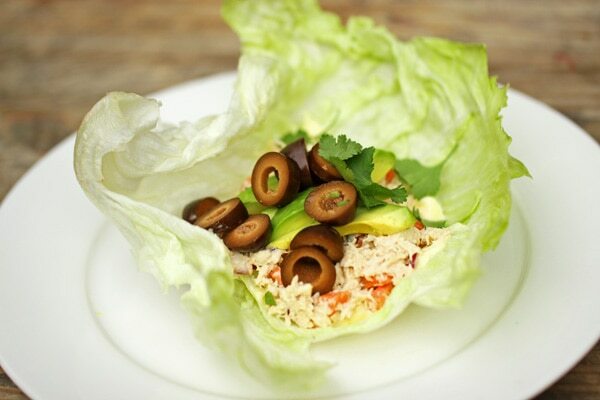 Lay out 4 large iceberg lettuce leaves and place a large scoop of tuna salad into the center. Top with desired toppings. I add sliced olives, avocado slices, cilantro sprigs, red pepper flakes, freshly cracked pepper and minced onion. Fold left leaf over the center and then the right leaf over the left leaf. Bon Appetit! 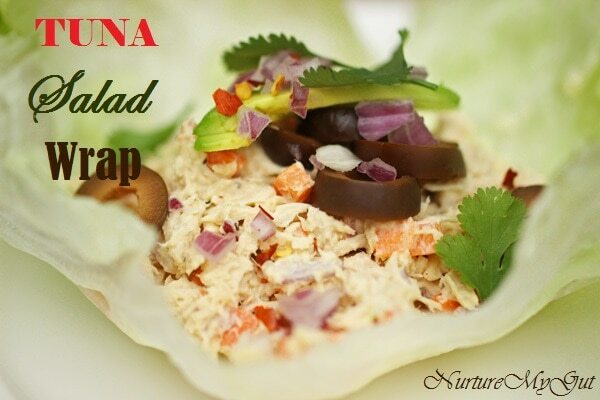 If you are just making 1 or 2 wraps, store left over tuna salad in a sealed container in the fridge for up to 2 days. Enjoy! Nutritional value includes avocado slices per each wrap.